Sautéed Mushrooms are a very popular filling for griddled quesadillas and corn empanadas in Mexico City and the central areas of Mexico. 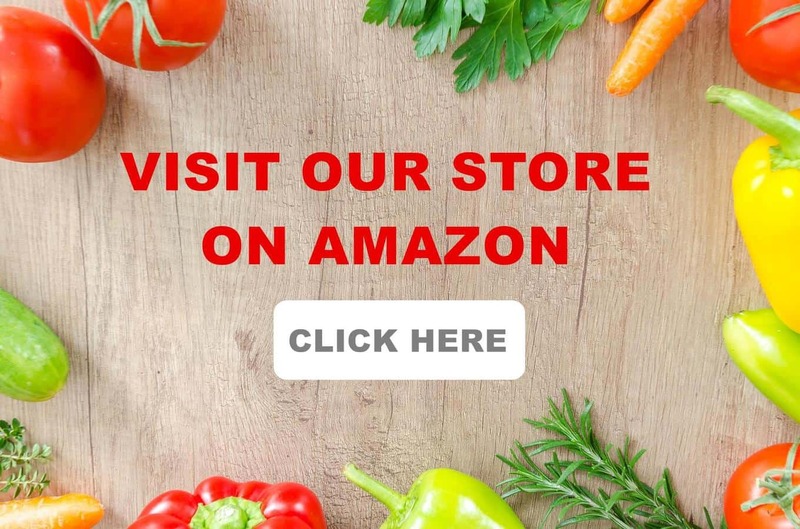 It’s a super quick and appetizing dish that can be used as a side dish, main dish, and as a filling for sandwiches, or as we do in Mexico, for empanadas and quesadillas. 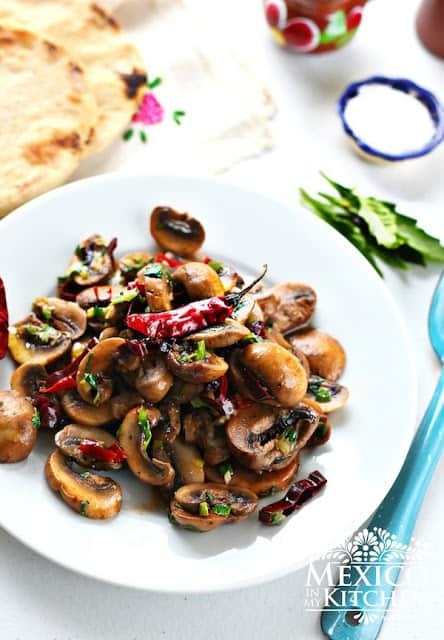 The freshly made corn tortilla is warmed over the hot griddle and a generous amount of the Oaxaca Cheese is placed in the center with a portion of these sautéed mushrooms. A leaf of the aromatic Epazote is added, giving it the final touch to this mouth-watering delicacy, usually sold at markets and open eateries. I often prepare this dish and have posted pictures of the process and the recipe on Instagram, so I figured it was about time I posted the recipe here on the blog! 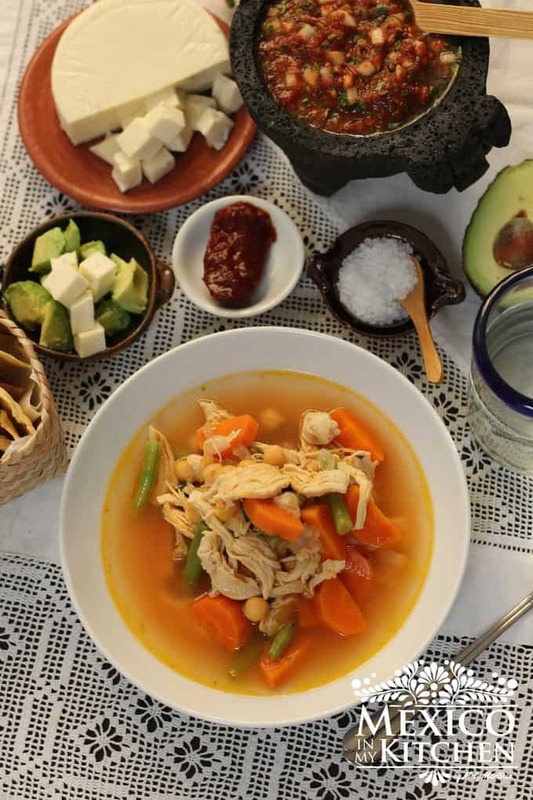 You know, every time I make this simple but delicious dish, it reminds me of an old lady selling quesadillas stuffed with cheese and mushrooms in one of the aisles of the town market in the City of Toluca. She was about 70 years old and used to sit on the floor along with her small portable wood stove, selling the quesadillas. I remember telling her how beautiful her braided hair looked, and she got upset. She told me that she used to have long, thick hair like mine, but now she was old, and that one day I will have all my hair gone just like her. Well, I’m far away from that age and still have my hair, but the memories of that old lady, sitting on the floor making the quesadillas, always come to my mind. Stir in the guajillo pepper, arbol pepper, and chopped mushrooms and toss. Saute mushroom until slightly golden brown, about 4-5 minutes. **See note above. Remove from heat, stir in chopped epazote, and season with salt and pepper. 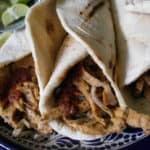 Serve with warm homemade corn tortillas and a Spicy Guajillo sauce, it will make you feel like you are enjoying a meal right in Central Mexico. Heat oil over medium heat in a skillet or a clay pot. Add the chopped spring onion and garlic, and sauté until the scallions become translucent. Just make sure the garlic doesn’t burn. *If you can’t find Epazote, use cilantro. **I usually remove the skillet really quickly from the heat, in order to keep the mushroom plump and juicy. 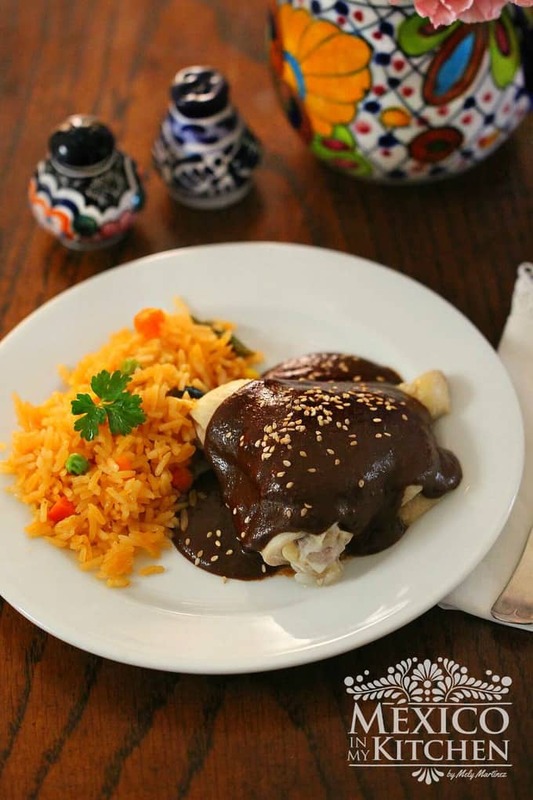 This dish is traditionally cooked with the guajillo pepper, but for some spiciness, I add the arbol pepper. Lentil Soup, easy & comforting! wow. Mushrooms look so tempting. Have some in my refrigerator will definitely try this over weekend.I adore your cooking utensils. I wish I could get them here in India. I do have a clay pot for cooking but not a pan. They are so healthy to cook. Hoy voy a preparar estos, me encanta la combinación de sabores y esa foto, se ven riquísimos! Saludos! Thank you for your post. I really enjoyed the story. My sister tried the recipe this weekend and loved it. I will be making it soon.